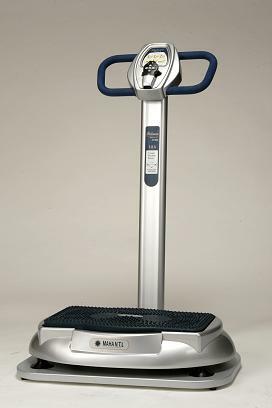 For a very short time we are offering K-1 Platinum Whole Body Vibration machines for the special price of $2,700 with free shipping. We recommend the use of the Whole Body Vibration (WBV) machine to effectively utilize Free Fatty Acids and Glycerols circulating in your body, in addition to initiating the mechanism of the lymphatic processes. Take advantage of this deal now and start your personal exercise routine at your own home and at your own convenience before sale ends. Please call 916-971-9156 to order a machine. This sale ends at 5 p.m. on Jan. 15, 2011. The underlying mechanism with WBV is elicitation of muscular activity. The effects include increased blood flow, oxygenation and heat with release of hormone responses comparable to that found after resistance-type exercise. A 10-minute WBV session could yield significant calorie loss. This could increase with intensifying the activity while on the machine. Note: It has been calculated that 10 minutes on the K-1 WBV machine would be similar to approximately a 6 to 10 km walk. The K-1 WBV enables users to experience a relatively simple and convenient method of exercise. Maximum benefits are achieved with just 20 minutes of use per visit. This exercise machine is designed for fitness and health. There have been worldwide scientific studies completed on Whole Body Vibration systems that indicate high success rated in treating osteoporosis. really good article. Ready to hear more next week,my blog http://eveningdressesypqypq.wordpress.com/2011/06/12/adressing-wedding-invitations-envelopes/ Many Thanks…. I have spent a bit of time going through your posts, more than I should have but I must say, its worth it! http://xuxu071.blogge.rs/2011/04/08/dress/ ? many Thanks…. Hello there just quality post! http://sabrina.fbhosting.com/ ,i’d a good read.appreciate your article,My problem continues to be resolved….